I’ll be doing this ride tomorrow. I’m not fit/fast just now but I have a time constraint so I’ll be wanting to keep moving to make sure I get the miles in before it’s game over. It should be a cold, clear day tomorrow so that steep, steep climb up the front will be an ideal warm up 😉 There’s no cafe stops en route so bring food/munchies. Depending on progress there may be an option for some extra loops or extending it. Meet at Kilpatrick station & ready to ride for 9am. OK, then, who fancies a bike ride? 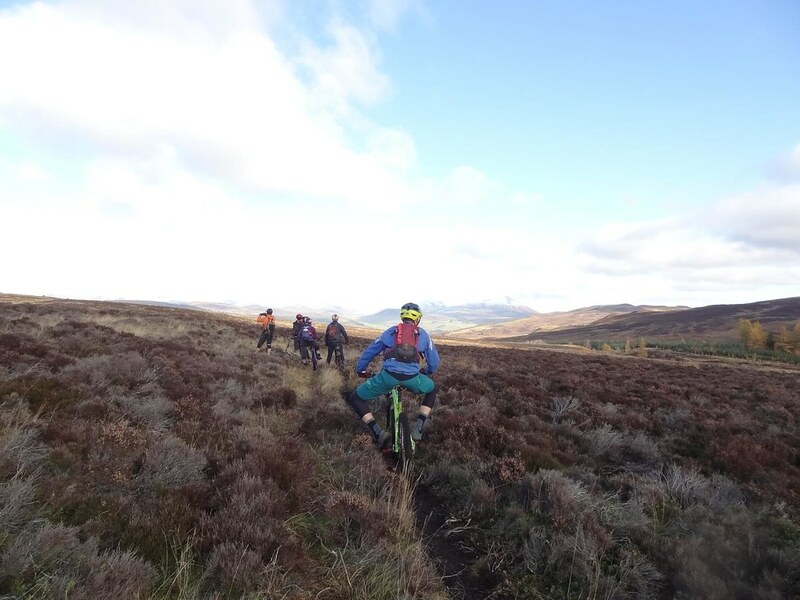 It’s still a few days away and the weekend weather forecast is changing frequently but I’m going to opt for doing the ride on Sunday 22nd Oct as the weather looks slightly better at this point. 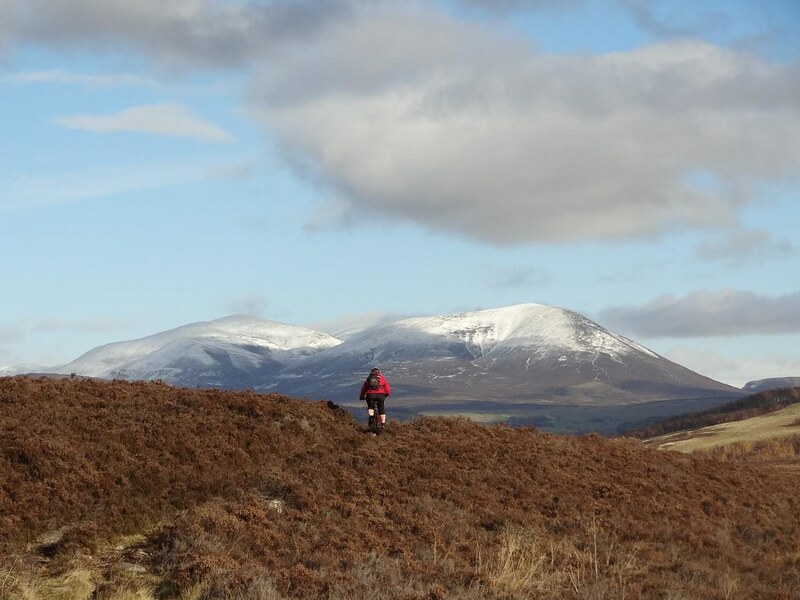 Meet at the visitor car park on the main street in Blair Atholl and be ready to ride by 10am. The ride starts with a warm up on tarmac before the first climb and descent. 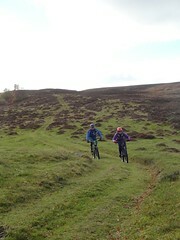 Then it’s over to Craigower to play about on the trails in there. 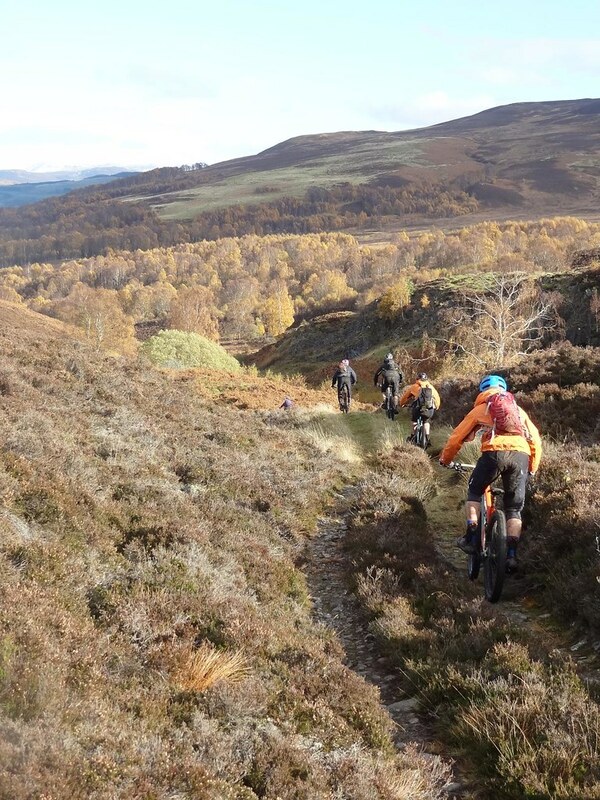 After that we head over to ride beside the Tummel for a bit before head back up and over to Blair Atholl with a fast and twisty descent with some great views (clouds permitting). Stats from the last time I did the ride say 32km, 1350m of climbing/descending and it took just over 5 hours (including stops). 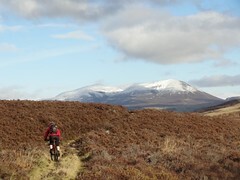 Check the weather, pack appropriate clothing, take food as there are no cafe stops planned until the end of the ride. If you want to ride share then either organise that via FB or on the club website. I have space for 1 person and I can pick up anywhere along (or just slightly off) the A82/Gt Western Rd. Yes, it’s a bit like busses, trying to fit mtb rides in before the clocks change and I have the car this weekend, so I have space for 2. Hi. 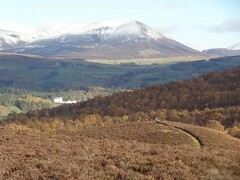 Anyone fancy a bike ride in glorious Perthshire this autumn? If so, then mark your calendars for the weekend of 21/22 Oct. The plan is to ride on one of the days – whichever has the better weather. I’ll make a call in the days running up to that weekend. 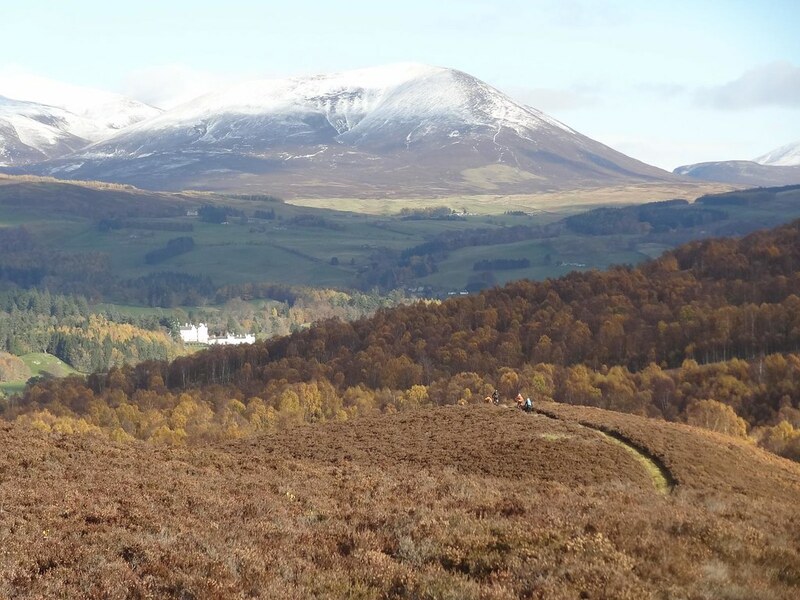 It’ll be somewhere up near Pitlochry or Blair Atholl, similar to autumn rides we’ve done up there before. 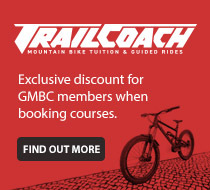 Expect a some climbing, some descending, some mud, some great scenery – you know, mountain biking, that sort of thing. For anyone with some time off tomorrow. I’ll confirm details later this evening in case the weather has changed or there are any other problems. Just a final update to confirm the ride plans for the weekend. If anyone is planning on coming along for either day let us know. Friday night – depends a bit on the weather and when people arrive. If there’s appetite for it then a wee fireroad spin up Ben Gullipen in time for sunset could be on the cards. Maybe pack a headtorch just in case. The Lade Inn is also another possible destination for an evening ride. Graham is going to email round those registered so far to gauge interest. Saturday – “red”/medium ride – leaving the hostel about 10:30, to do a loop of the Mentieths on a mix of fireroad, cycle path and singletrack. 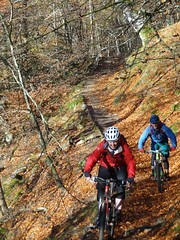 Aiming for a mid ride stop in Aberfoyle around lunchtime. As we’ll be riding in Aberfoyle on Sunday we’ll not take in most of the techy trails but, depending on those present, there could be a wee detour en route to the lunch stop for some singletrack. Aiming to be back at the hostel by 4pm for munchies and merriment. Saturday – Gnarr ride – leaving the hostel at 10:00, the final plan will be dependant on the weather and decided on the Friday night at the hostel; option (1) Ben Ledi and Stank Glen, 25km(ish), riding from the hostel, climbing/pushing up Ben Ledi and descending down the same path, taking in some of the trails in Stank Glen before returning to the hostel; option (2) Ben Vorich mega-loop, 45km, riding from the hostel and mix of fireroad/singletrack/big push to the top, ride down the main Ben Vorlich path and returning via Glen Ample or NCR 7. 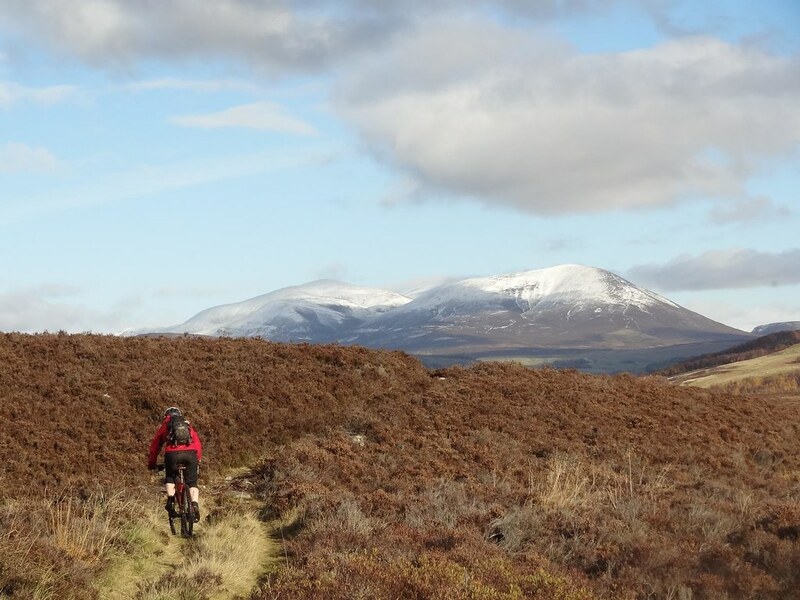 Given the recent weather option (1) is much more likely but both options are fairly remote with techy/rocky descending, with limited options for cafe stops etc so pack for big day out and bring plenty of food and water and knee pads etc. 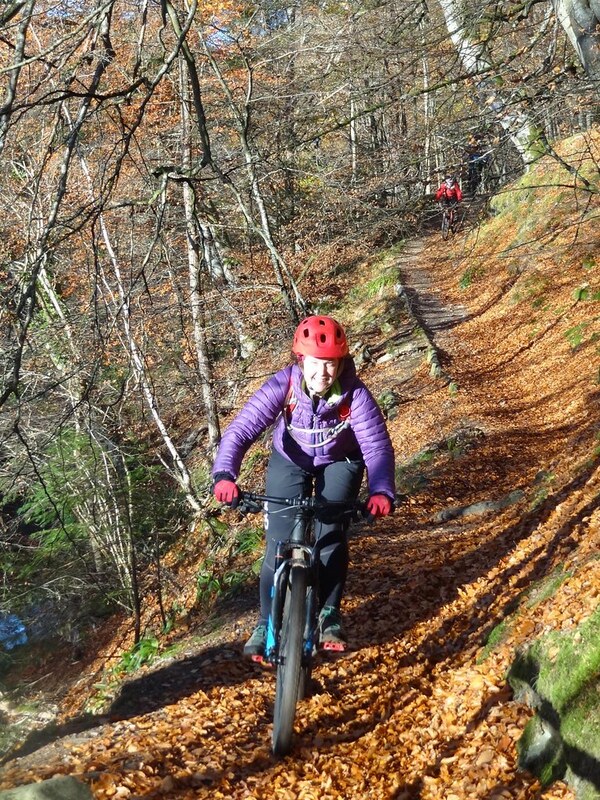 Sunday – Variety of rides out of Aberfoyle, plus, there’s a Dales Cycles demo day for GMBC and friends of GMBC in Aberfoyle on Sunday, based in the main car park. 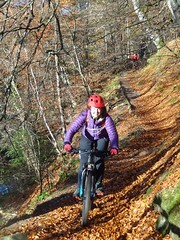 Ali from Dales will be hosting it so come along and maybe try a bike on the skills loop or on some of the local trails. It’s Nearly Here: 30th Anniversary Weekender!! Scott Forshaw has suggested we do Glentress this Saturday at 10am, he can’t sign in to post this so I am doing so for him. This ride is open to all riders of all abilities and fitness levels. 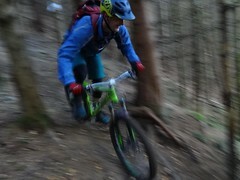 Scott’s plan is to head up and tackle the orange / blue trails down to Buzzard’s Nest then back up to the top or the Mast for anyone felling fit enough to do another red / blue decent. Please note that this is not a guided bike ride but simply a bunch of like minded riders doing what they enjoy so as usual you are responsible for your own safety. It is advisable for all attending to have suitable protection such as a helmet and knee pads, but that is up to you. 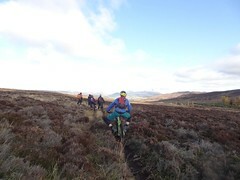 Plan is to leave carpark beside Big Al’s Wheelcraft / Campsie Glen coffee shop (Postcode: G66 7AB) at 7:45, and cycle/push up behind bikeshop, over Crow Road carpark, up to the top of the Campsies. 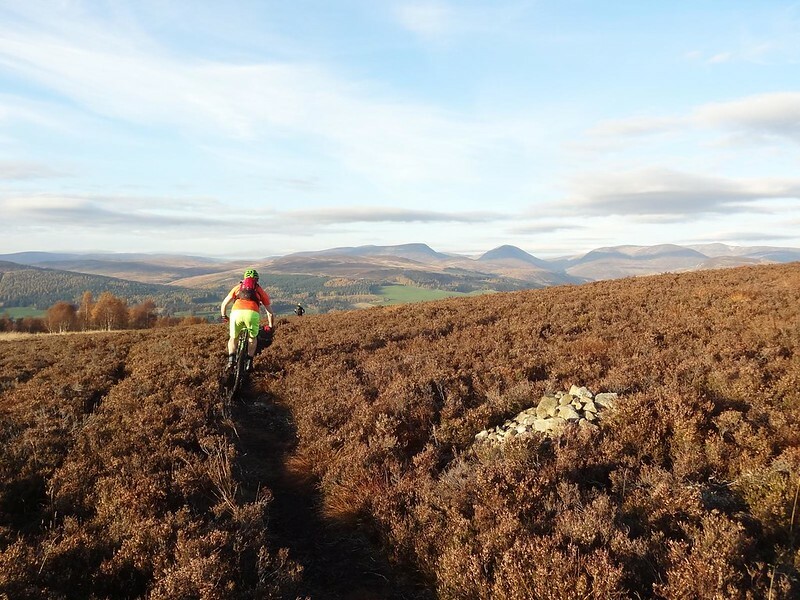 Then navigate along the top via Cort-ma Law to Meikle Bin, then loop back and enjoy the long grassy descents whilst catching midges in our wide grins! This ride is great on a clear night – you can see the Forth Road Bridge from the top. 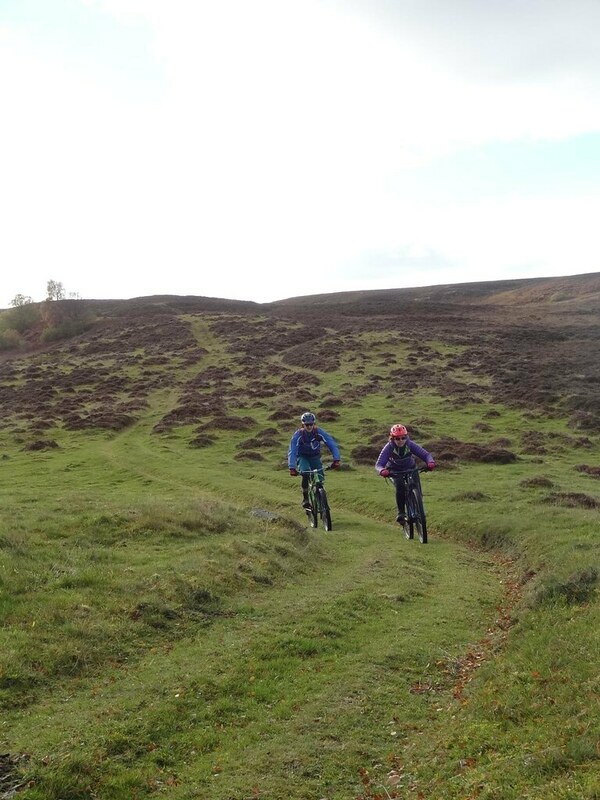 Riding isn’t overly technical, however does require a bit of stamina to cycle up/push at bits, and parts of the top require a bit of make-your-own-trail riding between the lumpy mounds of grass. Pace will be as per the slowest rider, so no-one gets left behind! Bring a sense of adventure, some midge repellant, and the usual spares for repairs and food/water for a few hours riding off the beaten track. I will leave the Clubhouse at 7:15pm, and have room for 3 more folks/bikes in my car. Setting off from Wheelcraft carpark at 7:45pm. So short notice, but anybody up for one of these on Sunday? And the following weekends?